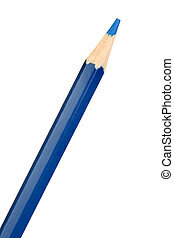 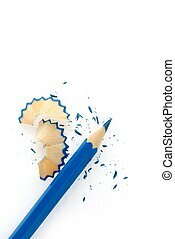 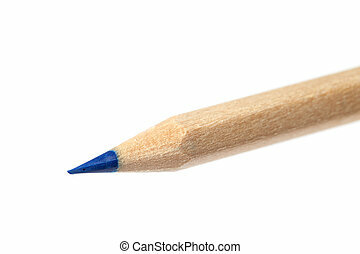 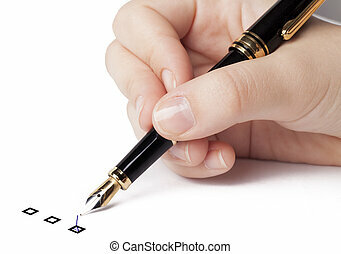 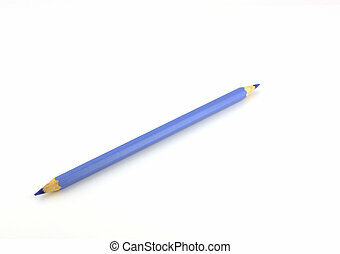 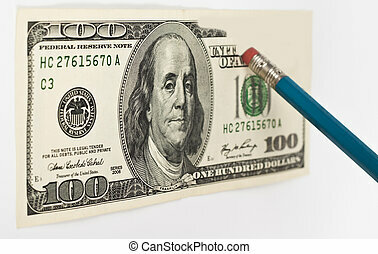 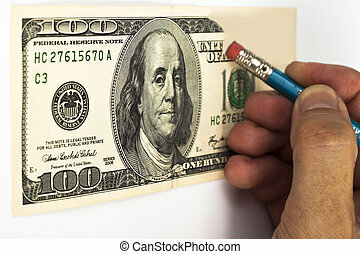 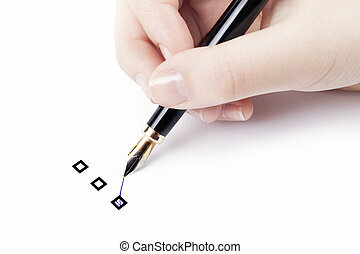 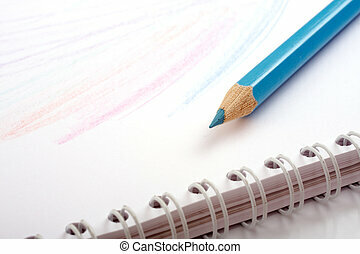 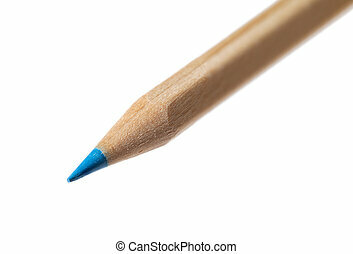 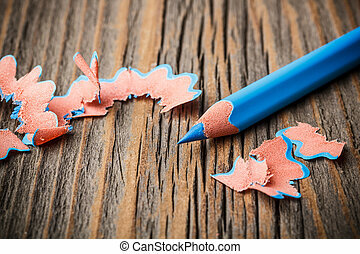 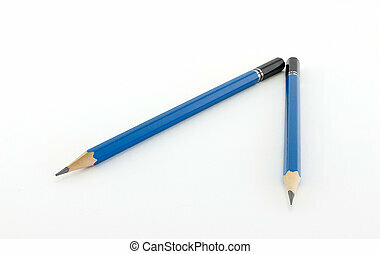 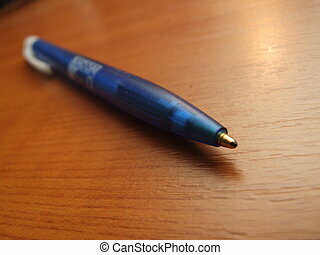 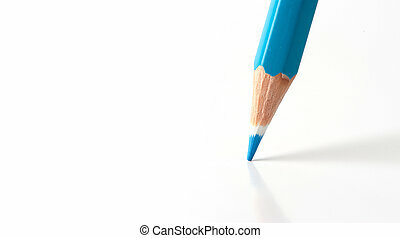 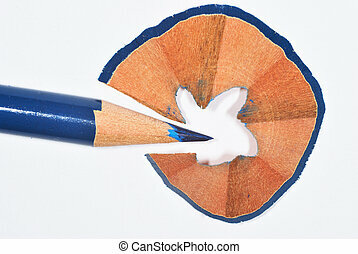 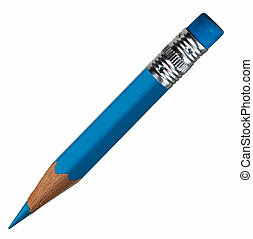 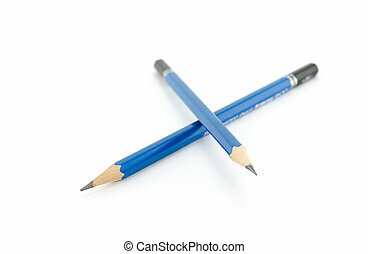 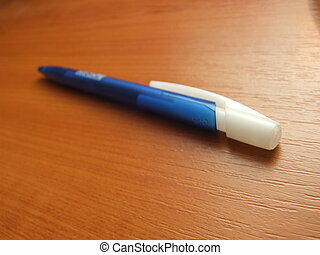 Blue pencil. 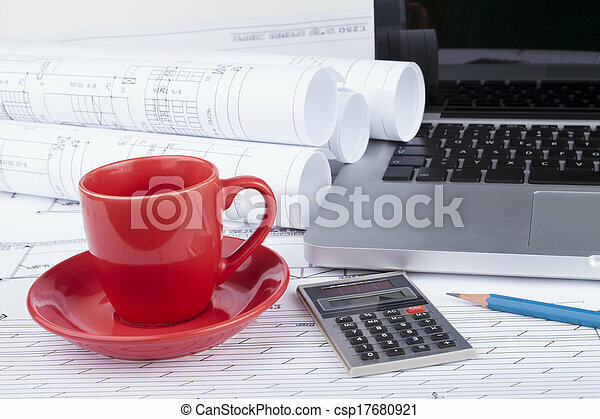 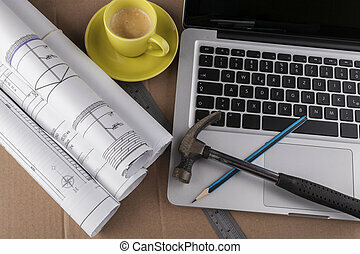 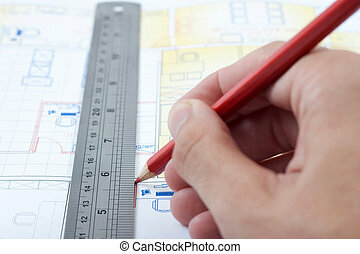 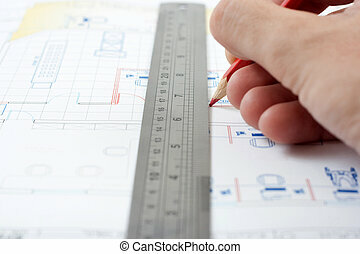 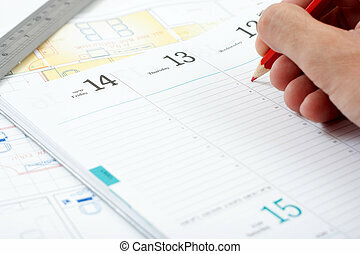 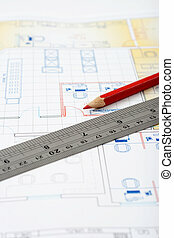 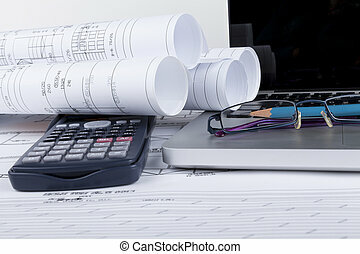 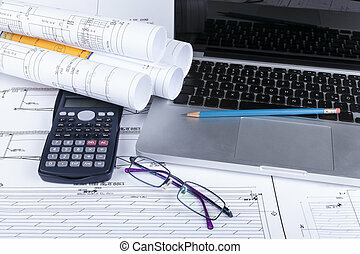 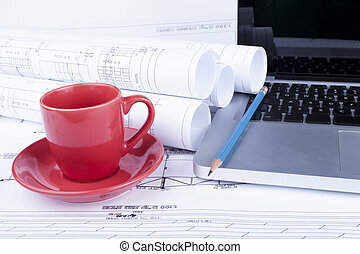 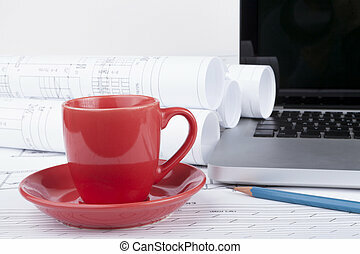 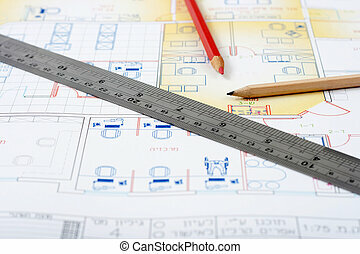 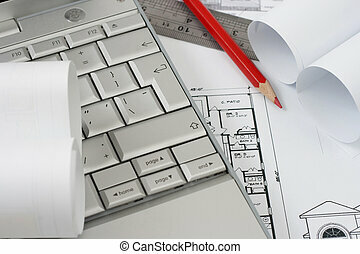 Architect blueprints with a calculator and a silver laptop with blue pencil and red cup of coffee. 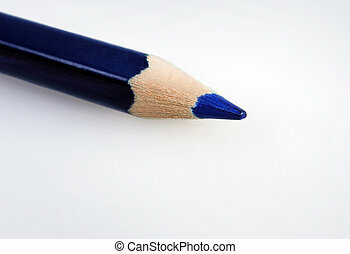 Blue pencil isolated on white.